ICMLSC 2020, The 4th International Conference on Machine Learning and Soft Computing, will take place in Haiphong City, Vietnam, from January 17-19, 2020. ICMLSC conference is co-organized by Sai Gon University, Vietnam and Industrial University of Ho Chi Minh City. ICMLSC is an anual conference held in Vietnam. The last three years, we've been to Da Lat, Phu Quoc Island and Ho Chi Minh City. This conference is highlighted by more and more audiences who joined us for the last three years. Haiphong is a major industrial city, the second largest city in the northern part of Vietnam, and third largest city overall in Vietnam. Hai Phong is also the center of technology, economy, culture, medicine, education, science and trade in the northern coast of Vietnam. ICMLSC is a not-to-be-missed opportunity that distills the most current knowledge on a rapidly advancing discipline in one conference. Join key researchers and established professionals in the field of Machine Learning and Soft Computing as they assess the current state-of-the-art and roadmap crucial areas for future research. We aim to build an idea-trading platform for the purpose of encouraging researchers to participate in this event. The papers to be presented at ICMLSC addresses many grand challenges in modern engineering. The full papers to be presented will be peer-reviewed by expert reviewers including the whole organising committees members of ICMLSC. We will be thankful for the contributions to ICMLSC 2020. We look forward to your participation and continued engagement at future ICMLSC conferences. 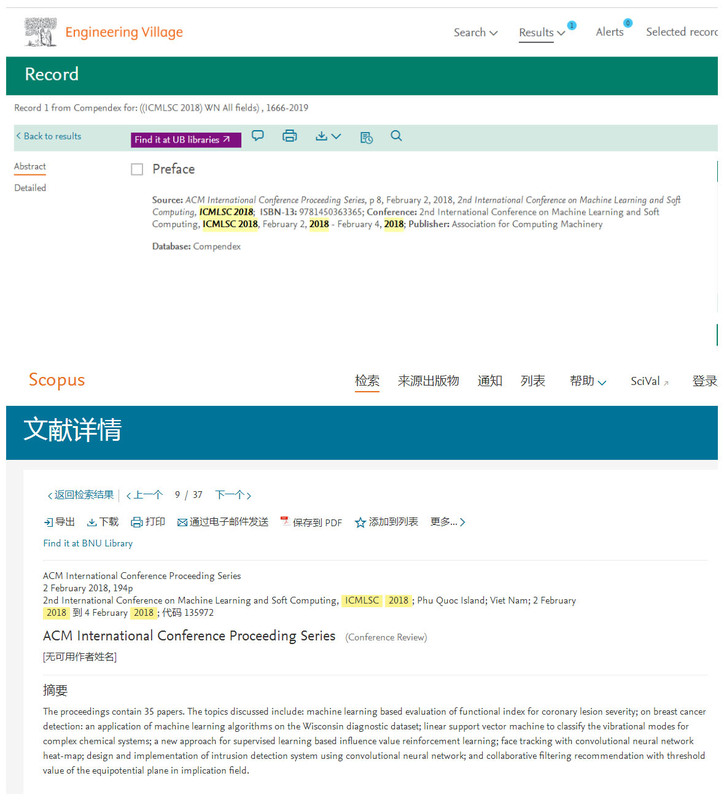 Full Paper submitted and accepted after successful registration will be published in the Conference Proceedings, the content will be submitted to the indexing companies for possible indexing, Scopus, Ei compendex,etc. Send your full paper/abstract to Easy Chair Submission System (.pdf only). copyright © International Conference on Machine Learning and Soft Computing, All right Reserved.